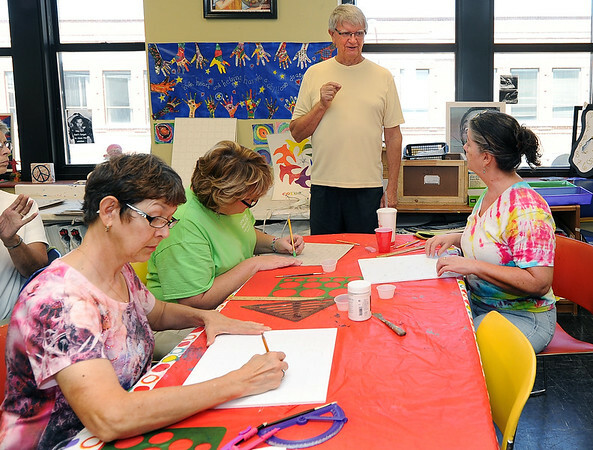 Artist John Bremmer, center, talks to participants during a tactile art workshop on Saturday at the Spiva Center for the Arts. Picyured from the left: Josie Smith, Webb City and Cindy Sockwell and Daria Claiborne, both of Joplin. Bremer's exhibition, " John Bremer: Tactile Dimensions" will be on display at Spiva through Sept. 6.